Socialist/pacifist house liberal Democrats, quaintly labeled progressives, are fired up and ready to mutiny against Speaker Pelosi. 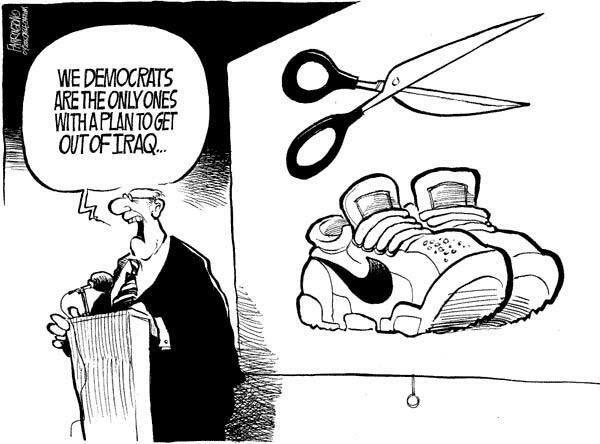 Ending the war in Iraq trumps anything else on earth. Any measure will do, cutting off funding for the troops, ending the war procedurally, whatever. Get out NOW! And, don’t let the door hit you in the …. A great WSJ article gives the ugly, hateful details.